No one – including Supermom – can prevent kids from experiencing setbacks in life. Your daughter may miss the class field trip because she caught a nasty cold. Or she may come home crying when her science-fair project earns a lower-than-hoped-for grade. Kids’ disappointments are no fun for parents to witness. But kids learn to lift themselves up when they get knocked down. Marriage and family therapist Christina Steinorth, M.A., author of Cue Cards for Life, says parents can help kids learn to bounce back from adversities by taking a teaching role. During tough times, aim to build your child’s coping skills and reinforce the value of persistence. Here’s how. Research shows we are biologically wired to catch others’ emotions through a process called emotional contagion. Mirroring others’ feelings promotes and preserves social connections by allowing us to feel empathy. But there is a downside: It’s easy to forget whose feelings you’re feeling. When that happens, you may overreact or respond ways that amplify your child’s distress instead of helping him regroup. It’s important to get an accurate read of your child’s feelings about what happened. Sometimes kids share intense bad feelings with parents then move on quickly. Other times, kids may feel truly and utterly devastated. Pay close attention to your child’s words, body language and behavior. All of these things provide insight into kids’ feelings and give clues about how effectively they are coping. 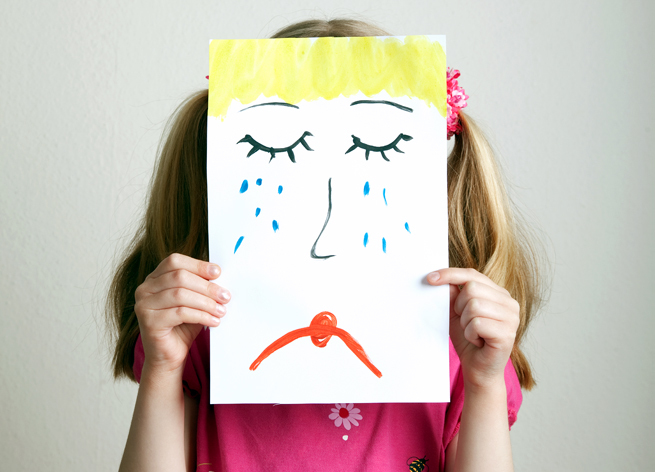 Accept your child’s emotional reaction, even if it seems overblown. “Parents need to be able to tolerate kids’ bad feelings,” Curtis says, even if they are uncomfortable. Take a deep breath and remind yourself parenting is hard. If needed, step back and tend to your own emotions first, so you can give generous comfort and support to your child. Start by giving your child a safe place to share his experiences. “The most important thing a parent can do is to listen actively. That means nodding, paraphrasing back what you’ve heard, and asking questions instead of offering solutions,” Curtis says. If your child reports, “I wanted our team to be called the ‘Crushers’ but the other guys didn’t listen,” mirror his feelings by responding, “It sounds like you really wanted the team to choose the name you suggested.” This shows you are listening and validates your child’s point of view. As your child describes the situation in greater detail, “encourage her to identify and label her feelings,” says Brooklyn, NY, clinical psychologist and mom Nerina Garcia-Arcement, Ph.D. Assigning specific emotion words to feelings helps kids address them more effectively. A child who says, “I feel angry because my best friend blabbed my secret to everyone else,” is ready to explore potential responses. One who just cries and moans, “It’s awful,” is not. Labeling emotions gives kids a sense of control and composure and decreases the chance they’ll act out in harmful ways to express their feelings. As your child explains what happened, prompt him to identify potential reasons for the setback. For instance, you might ask, “What do you think got in the way of you running a faster race?” Instead of letting him focus on one or two obvious reasons, encourage your child to come up with more. There is usually a range of factors, both personal and situational, that may have affected an unhappy outcome. Explore each reason with your child to identify ways he could do things differently next time. This helps your child move from feeling bad to doing better. For instance, noting he felt tired before the race started might lead your son to come up with ideas about eating a snack before the track meet or going to bed earlier. Specific action steps empower kids to bounce back on their own terms. Encourage your child to write down her intended actions, so she’ll remember the plan. This also reinforces her commitment to change. Offer your support by asking what you can do to facilitate your child’s goals. “Parents have to commit to making changes along with the child,” says Garcia-Arcement. If your child says she needs more practice to make first chair in the clarinet section, you may need to tweak the afterschool routine to find more practice time or designate a music-practice space in your home. Bottom line: Do what you can to create a supportive environment. After the pain has passed, talk with your child about what she learned. Focus on knowledge gained and skills developed. Perhaps your child learned how to speak up for herself. Or maybe she built project planning skills – such as goal setting and task scheduling – that she can apply to other endeavors. If your child can’t articulate what she learned, share your own observations. And don’t forget to tell her you’re proud of her improvement. Kids need to know parents notice. When the next setback happens, remind your child how he handled previous situations and encourage him to apply past learning to present challenges. Be a confidant and a sounding board. Help your child find his own way. Then step back and watch him grow through adversity. Responding to disappointment with confidence, grit and good humor is the key to being a happy, successful person. 1. When kids don’t get what they want, they learn to distinguish wants from needs. 2. When kids lose a treasured object, they learn to take responsibility for their belongings. 3. When kids lose a game or competition, they learn to celebrate others’ success. 4. When kids don’t live up to their own expectations, they learn the importance of second chances and self-compassion. 5. When kids are left out or pushed aside, they learn the power of acceptance and inclusion. 6. When kids miss opportunities due to dawdling, they tune in to their surroundings more attentively. 7. When kids feel upset because parents limit their screen time and sugary snacks, they learn healthy choices aren’t always the most fun. 8. When kids build something then see it destroyed, they learn that revision is part of the creative process. 9. When kids fail an assignment or exam, they learn achievement isn’t easy or automatic. Everyone doesn’t get a trophy every time. 10. When kids disappoint their parents, they learn love is bigger, stronger and more enduring than any misbehavior. And that’s the best lesson of all. Heidi Smith Luedtke is a personality psychologist, mom of two, and author of Detachment Parenting. Learn more at HeidiLuedtke.com.